They’re not only beautiful decorative pieces to wear or display around your home, crystals have the natural power to assist with healing! 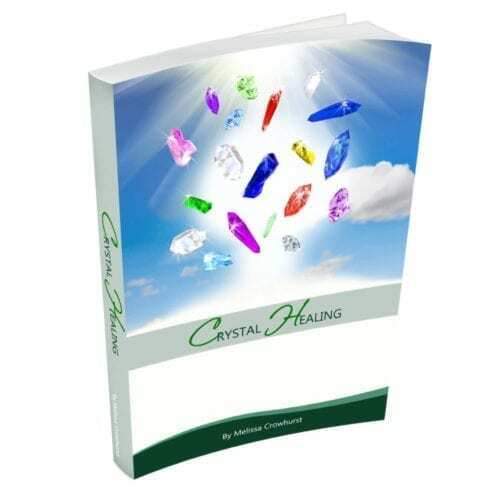 If you’re just starting out in the glorious world of energy healing, my book “Crystal Healing – An Introduction to the World of Healing Stones” will be perfect for you! Whether you plan to use crystals on their own or coupled with other methods, you’ll learn how these gorgeous natural wonders can become powerful healing tools. A great introduction to the world of healing stones! Scroll down ↓ to find out the full details of what this wonderful book includes! Ever wonder what crystal healing actually is? Not sure where to start? But want to at least get the basics covered and learn crystal healing online? Then my “Crystal Healing – An Introduction to the World of Healing Stones” is perfect for you! Being part of this wonderful Earth, each crystal has its own natural vibration and attributes, which can activate and promote both emotional and physical healing in oneself and others. It’s the vibratory signature of the crystal which assists in healing. Even if it’s not often discernible, the crystal’s therapeutic vibrations are felt and used on an energetic level. Although very helpful on their own, if coupled with other methods, crystals can become powerful healing tools. 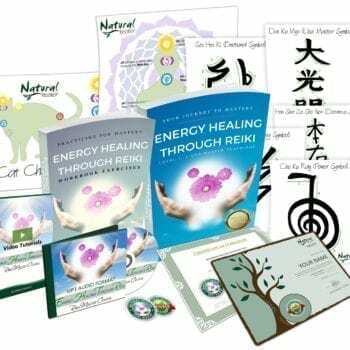 This is why energy healers – such as Reiki practitioners – like to place certain stones on (or near) their clients or within their healing rooms. Using the right crystals can assist to balance the Chakras and aura. Looking for my Crystal Healing Certification Course? Please note, you’re currently looking at my introductory ebook about crystal healing – this is not a certification course. If you’re looking for my Science of Crystal Healing Course (which has the option for certification), please click here! 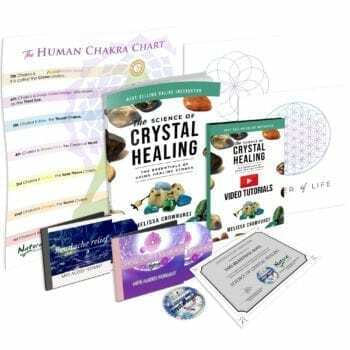 If you’re ready to learn the basics of Crystal healing with this introductory ebook, then simply click the add to cart button below to order your Crystal Healing book today! Easy to read 18-page ebook (PDF) about crystals and their healing qualities. 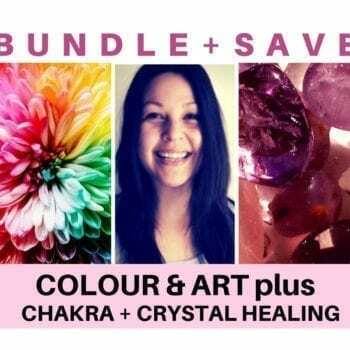 This includes an introduction to crystal healing, Chakras and crystals, using crystals with affirmations, selecting and cleaning crystals, plus more! As well as a beautiful Chakra chart! Details of the two main crystals for each Chakra, including basics and associated astrology signs, as well as their physical, emotional and spiritual healing qualities. Yes! And because this product is digital, it’s delivered to you instantly via email! Important note: this product is not physical, therefore is not shipped. Access to your emails as the digital product will be delivered to your inbox! Ability to view and download PDF files on your device. Ability to use Dropbox as the product file is supplied via a Dropbox instant-download link. Be sure to install the free Dropbox app for easy access and viewing. Optional: You will need a printer, or the ability to connect to a printer if you want to print out a hard-copy of the product. If you have more questions, visit our F.A.Q. page here or feel free to contact us here. If you have any questions, be sure to check out our FAQ and refund policy here, or reach out and contact us here, we’ll be in touch as soon as possible to assist! I’m very new to the metaphysical uses of crystals for healing. This book clearly explains not only how to use crystals, but exactly how they effect our bodies and the energy fields surround them. I would recommend this book to anyone looking to learn something new about crystals or just brush up on knowledge they already posses.